As the holiday spirit goes into full gear, Los Angeles County Sheriff Deputy Tom Drake helped spread the joy as he gave gifts to kids in the Newhall area. 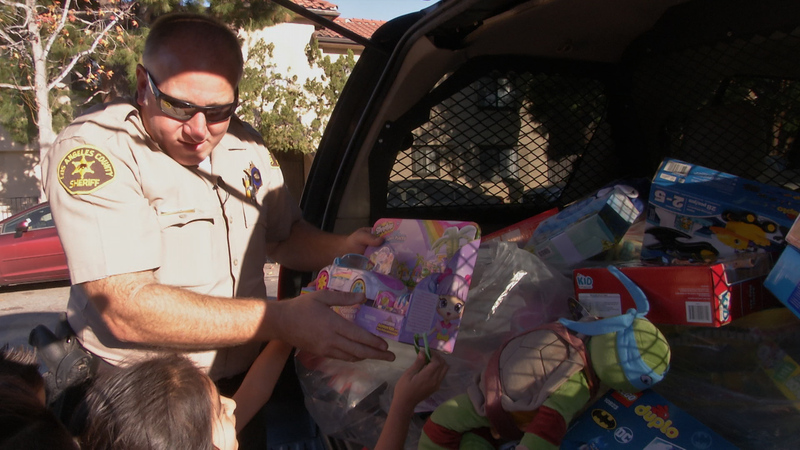 The gifts delivered were leftover from for the SCV Sheriff Station’s toy drive earlier this year. Great job by Deputy Tom Drake! I have worked with him over the years and I know how he loves the Christmas time of year. I can go back to the 90’s and remember those stops and handing out Christmas gifts to the kids. He has such a big heart.